However like many of the programmes put in place by our beloved government it has dismally failed. 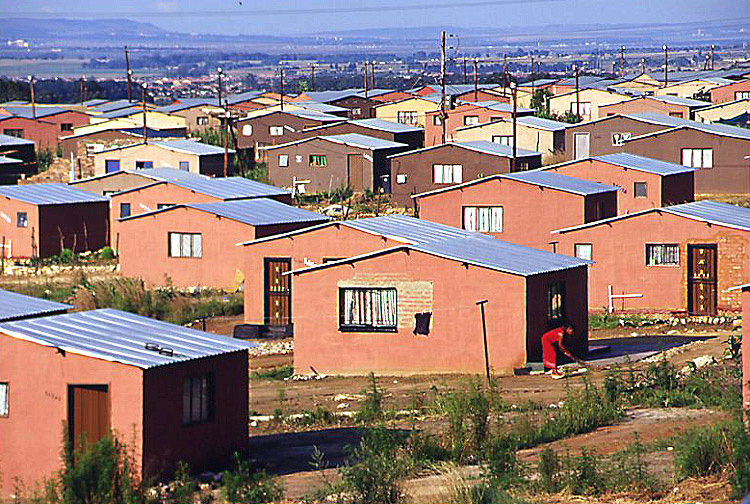 Besides the fact that almost half the houses that it builds for our poverty stricken South Africa are dismal, dispicably put together pieces of somewhat thrown together architecture, they have become no more than just money making schemes for poor and rich alike. I guess the question on everybody’s mind right now is ” What the hell is she talking about?” Well it is common knowledge, and by common knowledge I mean to the gossip mongers/ local church going folk in the townships, and the local governement in any city or town in South Africa that these so called RDP houses for the poor are given and awarded to those who have connections within the local governement. 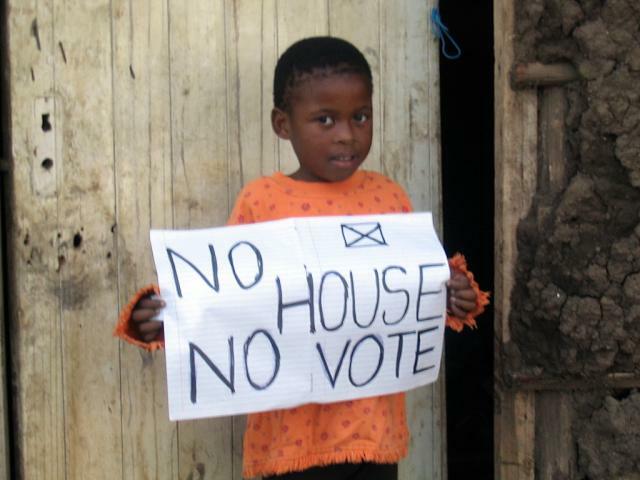 This is despite the fact that there are individuals who have been waiting on the list for more than ten years, to get ann RDP house. Whilst covering a television news story in Vukani , Grahamstown about the renting out of these houses, I met a few individuals who had been waiting for ten years or more. In fact these were the individuals who were forced to rent out the RDP houses from local fat cats keen to pocket extra money from the poor. If not the fat cats it’s the local people from the townships themselves who somehow strike a connection with the local municipality, or its councilors and mange to own more than two houses in two different township areas, to only spend the profits they gain on alcohol or running a shebeen anyway. The problem here is that no one takes the blame for what is clearly a system riddled with corruption. When one asks the local municipality about the awarding of RDP houses we are only told that they are not responsible for the awarding of houses and we should speak to the construction companies in charge ,The ANC has its promises. Free housing was one of them. I’m still baffled by the fact that people have waited this long for such a basic need. used to complain about squatter camps but what else are the poor to do. If you can not afford rent, been waiting for more than ten years for a house, why not but build one? I think that is real vision and courage. So the rich get richer whilst the poor as they say get poorer . So as I switch off my bedroom light in my furnished home , slip into my warm bed I realize how lucky I am to have four sturdy cement walls to shelter me. Paying for a free house? I don’t get it. I’ve always felt pretty safe in this country. Maybe it’s because I have always had the “it can’t happen to me” attitude, and so far “it” hasn’t, so why should I worry, right? Well, now I am worried. After living in South Africa for my whole life, I am finally worried. Now I can actually understand why people are willing to sacrifice the sunshine of S.A for the safety of another continent. The fact of the matter is that police can’t afford to value the individual. I was doing a story on a small pre- school which has been broken into seven times in fourteen months. The children of this school have had their mattresses, food, toys, tables, books, plates, spoons, oven and fridge taken from them! And guess what, not a thing has been done about it. The suspects from the first burglary were released without bail because the next court date they could get was over a year later. There’s just too much crime, and not enough court time. I asked inspector Coetzee what she thought people could do to help the situation. She obviously was against people taking the law into their own hands, as this often gets the victim into more trouble than the criminal. She instead suggested that people report any criminal activity they are aware of so that police can see where the trends are and target the problem. But, once again, where does this leave the individual? Are people supposed to wait until their whole area is flooded with crime before any justice can take place? 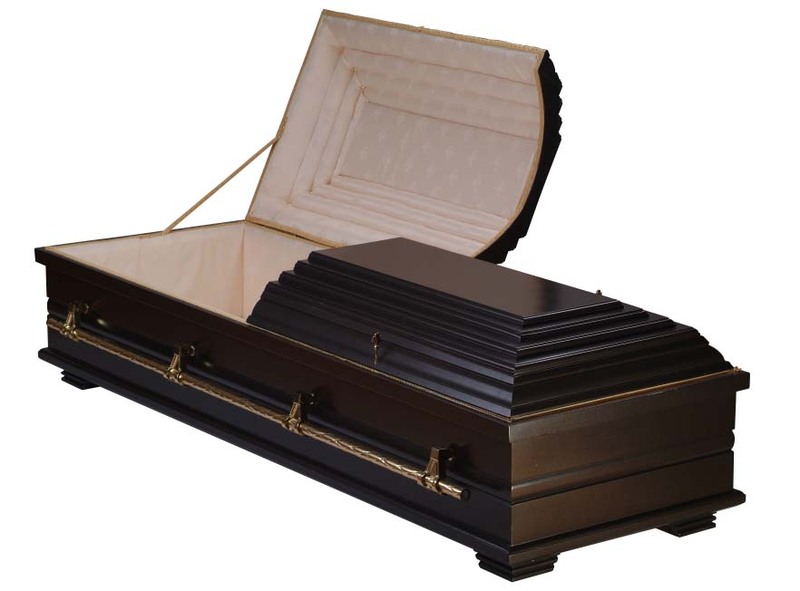 The increases of funeral home in Grahamstown, does mean there are more deaths than elsewhere. Grahamstown is a small town with about 150 000 population http://www.ru.ac.za/academic/departments/geography/body_geninfor.html#gi02. This small town have more than ten funeral parlours and the 11th one is coming soon. The most question that comes to the minds of journalists, is Grahamstown experience more deaths than any town in South Africa? One of the owners of Funeral parlours says Grahamstown experience more deaths during winter season. She says there are more deaths in winter because people especially this time of the year poor and old people tend to die more because they lack heater and do not have proper nutrition and no proper shelter. Old people die because of cold weather while young ones die because of HIV/AIDS. Some young people kill one another when there are drunk. This is not a phenomenon problem facing Grahamstown citizens only, but is threat for the whole South Africa http://www.abc.net.au/worldtoday/stories/s263908.htm. No one can argue that many people are not dying because of HIV/AIDS. One may say that lose for another is the benefit for the other person, it is a zero sum game, because the more people die the more funeral parlour making tons of money. On the other side the poor residents have to go to banks and cash loans to borrow money to cover funeral expenses. One of the funeral parlours directors said that when more people dying he make good money. People would come buy coffins, hire hearse, bus (sometimes) thumb stone. The industry is very busy in Grahamstown, http://media.www.bgnews.com/media/storage/paper883/news/2008/04/30/Local/Dunn-Keeps.Funeral.Business.Alive-3357332.shtml. Some people believes that its about time to go back to their olden ways of burying their loved ones. One of the Grahamstown residents says it was much better during time of Makana because people were covered with cow’s skins, or old blankets, but today funeral has become a form of a party or something. If you do not have money to make a funeral to be on the standard you become a laughing stock to the whole community. So, if you do not have money you have to go and borrow it, but at the end you end up left with nothing to eat. Some Grahamtowns citizens do not like to hear the idea about new funeral service that has been build. They use our death, pain and suffering to rich themselves. One of the resident even said these people have something to do with growth of death in their town. Why do we have lot of funeral parlours and they make them feel uncomfortable especial the ones that are build in the townshipshttp://www.abc.net.au/worldtoday/stories/s263908.htm. However the directors of these funeral homes do not only give customers what they have paid for, but they also offer emotional support to mourning families. Our Minister of Education, Naledi Pandor has set up a new campaign to address adult illiteracy in South Africa, namely Kha Ri Gude. It has recently been implemented in Grahamstown and it is the first initiative to show potential success in this decade. Previous adult education programmes such as the South African National Literacy (SANLI) have failed dismally. According to the National Adult Learning Network Conference (2002), this was mainly due to:”The vacuum that exists in the adult education and training sector as a result of the demise of previous networks;and the lack of co-ordination, synergy and unity of purpose which has resulted in a fragmented sector.” The resignation of adult-education expert John Aitchison in 2007 sparked rigorous debate about the future of adult education in South Africa. Nombeko Kepe, the Project Co-ordinator for the Grahamstown District predicts that the project will not only be a success in the field of creating employment opportunities, but will also help in combatting pension fraud. “Many pensioners struggle with using an ATM or opening a bank account. If they can read or write, they will no longer be dependent on family members to make sense of their finances.” Noxolo Modise, a consultant at First NAtional Bank, Grahamstown says: “With seven out of ten pensioners being illiterate in the Eastern Cape, we can sometimes spend up to two hours with a pensioner to help them collect their social pension grants.” The problem extends even further as Ms. Modise explains that they often get loan sharks who pretend to be family members of pensioners in order to gain signing rights on their accounts.